The March of Dimes New Jersey chapter has announced that Voorhees resident Maureen Sacchetti from Inspira Health Network in Woodbury received the 2015 March of Dimes Nurse of the Year Award in the Nurse Champion category. Through Nurse of the Year Awards, the March of Dimes recognizes nurses who demonstrate exceptional patient care, compassion, and service. Whether serving as a health care provider, educator, researcher, or chapter volunteer/advisor, these nurses have played a critical role in improving the health of New Jersey’s mothers and babies. Nurse of the Year Awards celebrate the nursing profession and creates awareness of the recent strides made in this growing field. Maureen (Reenie) Sacchetti is the vice president of clinical services at Inspira Health Network Woodbury where she is directly responsible for the operational activities of all specialty services lines including pharmacy, laboratory, radiology and cardiovascular care. She works closely with nurses at all levels on numerous capital projects including the development of a bariatric surgery program, the initiation of an advanced gastroenterology diagnostic and procedure lab and the creation of a specialty orthopedic unit. 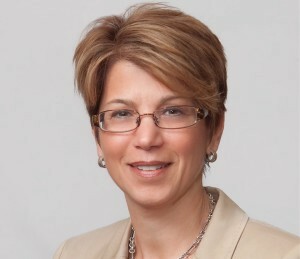 Sacchetti has worked closely with and advocated for patient care needs with nurses through endeavors such as the development and implementation of the region’s first breast tomosynthesis unit, the county’s first emergency per cutaneous coronary intervention program and the organization’s first specialty heart failure center. “We could not do the work of the March of Dimes without the passion and commitment of our nurses. This is our opportunity to show them how special they truly are,” said Allie Hall, Central Division Executive Director, New Jersey Chapter of the March of Dimes. More than 196 nurses were nominated in 19 different award categories. New Jersey award recipients were announced at a special awards gala at Pines Manor in Edison, which had a record attendance of over 500 people. At the event there were 115 finalists that represented 48 hospitals and healthcare facilities. The event raised over $90,000 to improve the health of babies by preventing birth defects, premature birth and infant mortality.